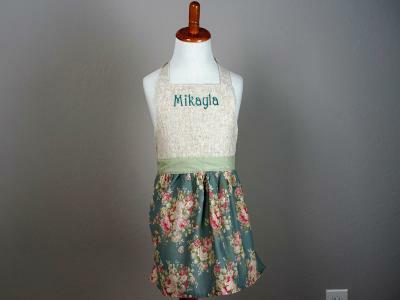 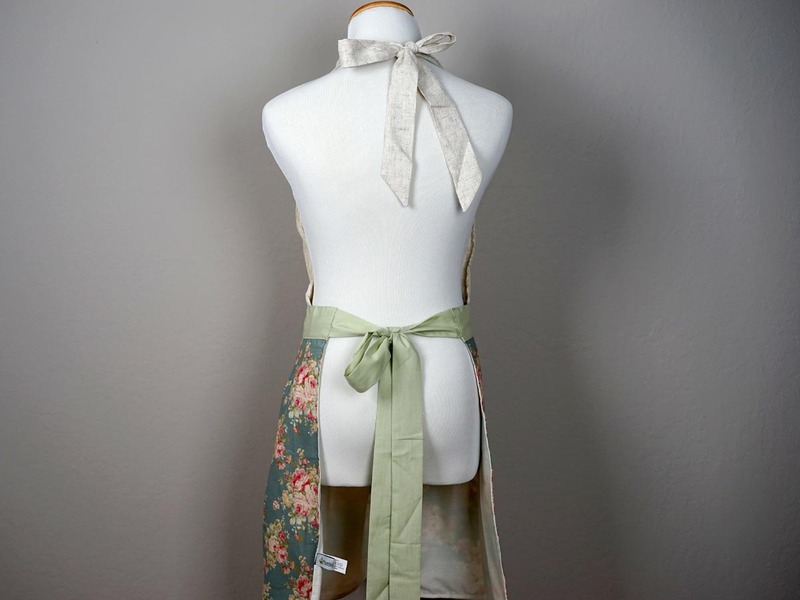 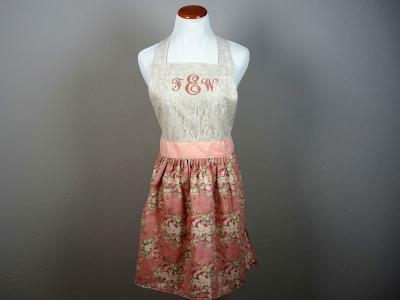 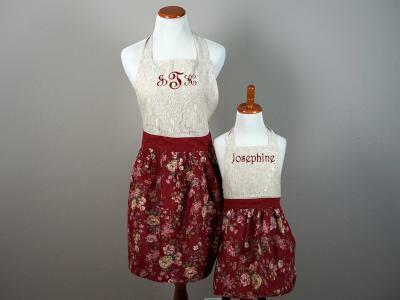 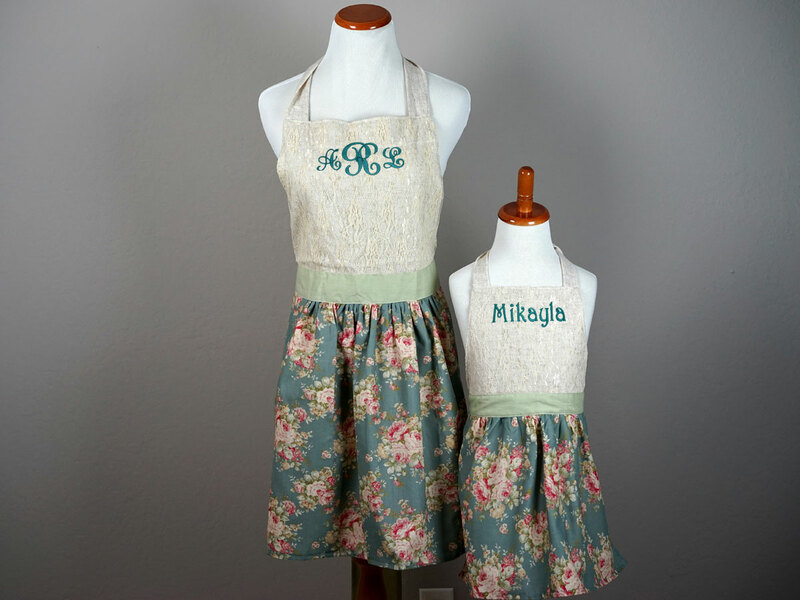 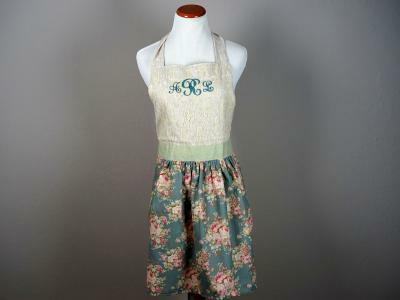 Mom and daughter will look so adorable in this matching lace apron set. 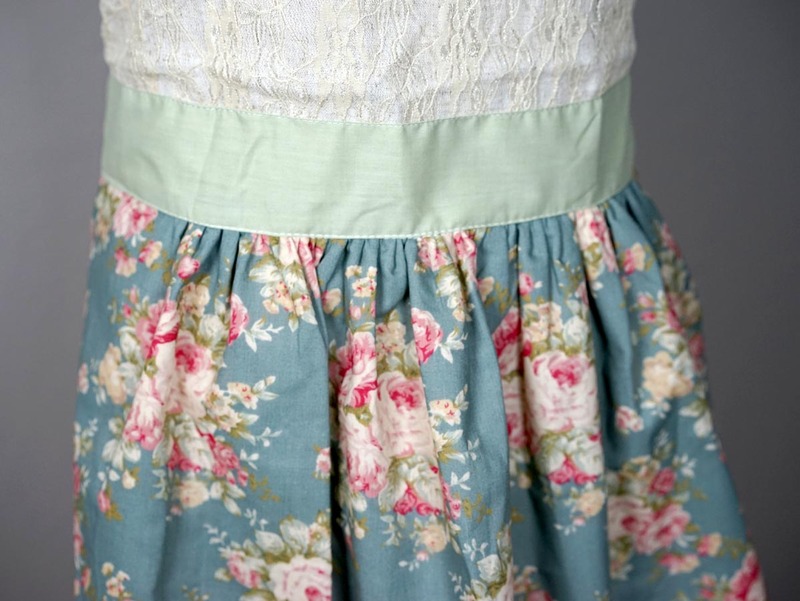 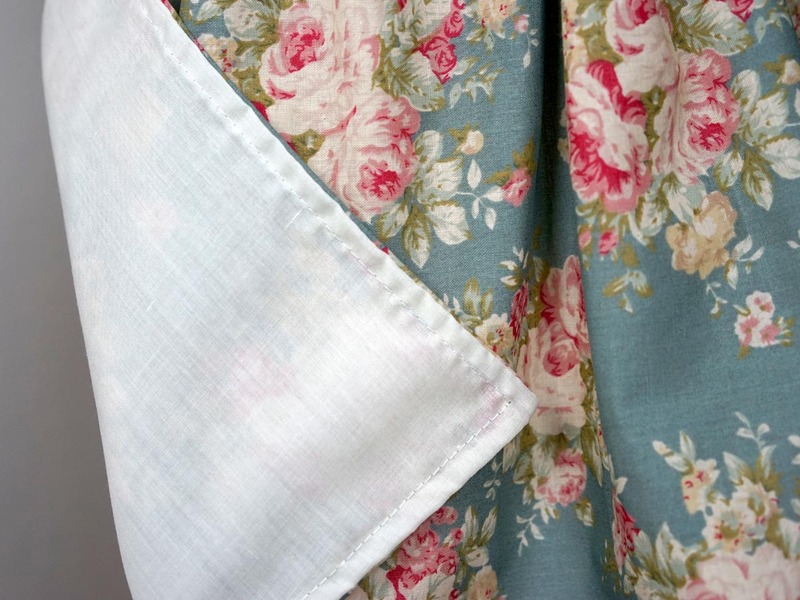 The stormy blue floral pattern is perfect for the holidays. 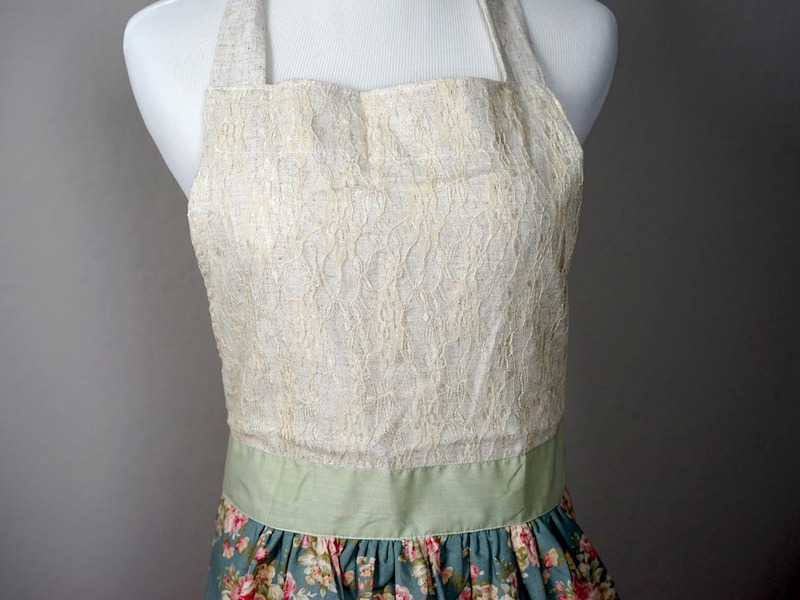 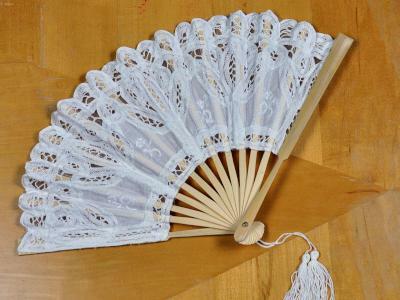 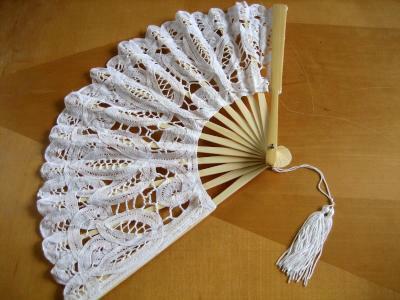 The oatmeal bib is accented with a lace floral overlay.